Tablets taken once per day and is notable for having far fewer side effects than other, older malaria drugs. Affordable malaria treatment. Tablets taken daily and treatment can start at short notice (2 days before trip). Affordable malaria treatment with tablets taken once a week. Malaria is a potentially fatal disease that affects hundreds of travellers from the UK each year and causing almost a million deaths worldwide. It is prevalent in parts of Asia, Africa and South America (see diagram for detailed map). Spread by infected mosquitoes, travellers to risk areas should take the necessary precautions highlighted below. Furthermore, the right anti malaria tablet provides invaluable protection. The risk profile is higher for children, pregnant women and immunosuppressed individuals or those with ongoing medical conditions. Malaria is a highly infectious disease that is spread by mosquitoes that can be life-threatening if not diagnosed and treated in time. Symptoms will usually include bouts of fever, lethargy, severe headaches and vomiting. If it is left untreated, these symptoms can develop into seizures, organ failure and death. Malaria can be spread by a single bite of an infected female Anopheles Mosquito. These infected mosquitoes carry a parasite known as Plasmodium, which is transmitted into the bloodstream of the bitten individual. If a mosquito bites a person that has already contracted malaria, it can become infected and thus further spread the disease. Malaria cannot be spread directly from person to person. Once bitten, the Plasmodium parasite travels through the bloodstream to the liver in order to begin the infection. Once the infection has developed, the parasite will again enter the bloodstream in order to begin attacking the red blood cells. It is here, amongst the red blood cells, that plasmodium begins to multiply, releasing more parasite that continues to infect the blood. There are, in fact, many different types of Plasmodium but only five of them cause malaria in humans. Once the parasites are in the bloodstream, they make their way to the liver. Here they begin to duplicate until the point when they’re released back into the bloodstream in significantly higher numbers. They can then invade the red blood cells and, once inside, continue to multiply until the cells explode. This releases more parasites into the bloodstream. Not only does the parasite infect humans, but any mosquito that bites a human infected with the parasite can then spread the disease further. How many types of Malaria are there? Malaria occurs in over 100 countries and territories, yet is most prevalent in the world’s tropical and sub-tropical countries, in particular, the African subcontinent, Asia, Central and Southern America, the Caribbean, Oceania and the Indo-Pacific region. In these areas, transmission of malaria is accelerated by high temperature and high degree of water availability, creating suitable climatic conditions for the mosquito to grow. Warm, tropical weather is a crucial element in the proliferation of malaria, particularly as the parasite will make use of the warm conditions to spread. Even in Malaria-endemic countries, transmission will not occur at high altitude, during cold seasons or in the desert. In 2015, Sub-Saharan Africa experienced 90% of malaria cases and 92% of malaria-related deaths globally. Which malaria tablets should I buy online? Each prescription anti-malaria treatment works differently and which you use can depend on the length of your trip abroad and your budget. Some are taken daily, with a short course taken prior to your trip such as Malarone (atovaquone proguanil) , or Doxycycline. Others such as Lariam, which is known to be more affordable, is taken weekly. Which Malaria Tablets Should I Choose? Check your destination(s) on fitfortravel.nhs.uk to determine which anti-malarial if any is required. Lariam is not suitable for patients with active depression, a recent history of depression, generalized anxiety disorder, psychosis, or schizophrenia or other major psychiatric disorders, or with a history of convulsions. Doxycycline may cause your skin to become more sensitive to sunlight. It is recommended to avoid strong direct sunlight. Erythema (sun burn) due to increased sunlight photosensitivity can occur in 4-16% of users, use of a high SPF sunscreen reduces this risk. Mosquitoes can bite you at any time of the day, however most bites occur during the night, at dusk or at dawn due to the fact that the female anopheles mosquito is most active during these times. Wear long-sleeved clothing to cover exposed ankles, feet and legs if you are out at dusk, dawn or at night. Avoid shorts if possible! Use insect repellent containing at least 50% DEET on exposed skin and under thin clothing, particularly around the ankles. Avoid exposing too much skin after dusk in malaria-endemic countries, especially if you are out and about. Cover your legs and feet when in woodland or near water and carry insect spray with you. Insect repellent sprays, candles and mosquito coils can reduce the risk of bites. 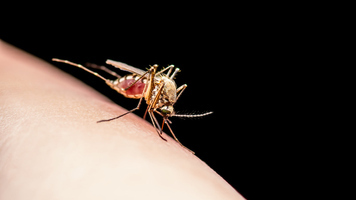 Ultrasound devices, Vitamin B, perfume, homeopathic products, tonic water, and citronella are not proven to protect against mosquito bites. Long-lasting Insecticidal Nets provide the most effective personal protection against mosquito bites and can be vital for people most at risk of malaria (such as young children, pregnant women). These nets can last up to 3 years. lethargy and in severe cases, seizures. These symptoms can take a week or more (sometimes up to 3 years in the case of P.Vivax) to develop after being bitten by an infected mosquito, however, any signs of these symptoms after spending time in a malaria-endemic country should be assessed by a doctor immediately. Seek immediate medical advice if you experience any of the above symptoms for up to a year after exposure, even after completing a course of anti-malarial tablets. If you are travelling to mutiple malaria-endemic countries and spending a long time there, it would be advisable to take a suitable course of anti-malaria treatment and a malaria testing kit with you. 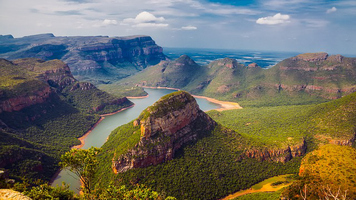 Anti-malaria medication can be used for extended periods of time, however, any long trips to affected areas should be discussed with your GP first.